Today starts the Yellow Brick Journey. 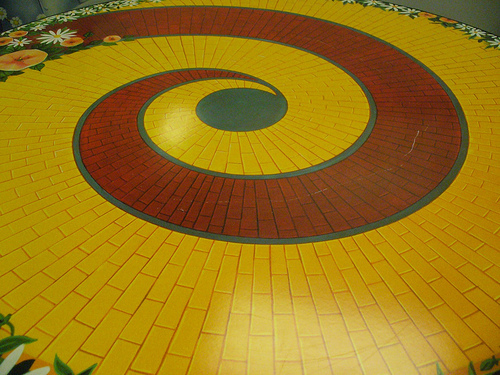 Gary and I have two curved sidewalks and we decided I could paint them like the yellow brick road in the Wizard of Oz. I am about to be out cleaning the sidewalks getting ready for the first coat. Life is to be fun not boring. I am sure this is going to be fun and I can’t wait to see what the neighbors have to say!!! Dorothy (Ali) where are you?????? Stayed turned for the journey to OZ with the Wheeler’s!